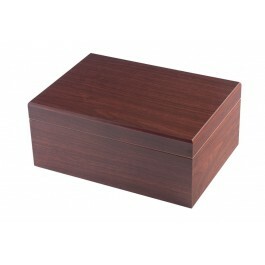 Perfect cigar humidor for basic needs with a strong seal and clean finish. 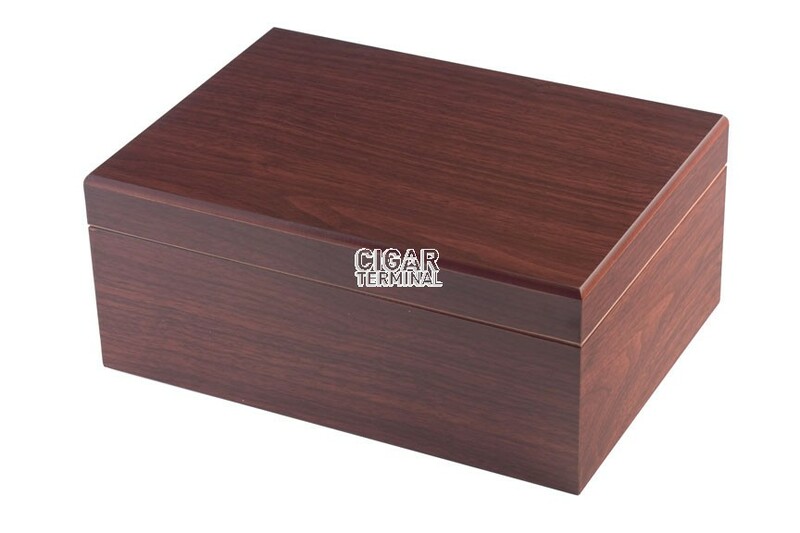 Perfect cigar humidor for basic needs with a strong seal and clean finish. This humidor can hold up to 50 cigars; the cigar humidifier keeps the humidity consistent (68-70% is recommended) and the hygrometer shows the current temperature, ensuring the freshness of the cigar. 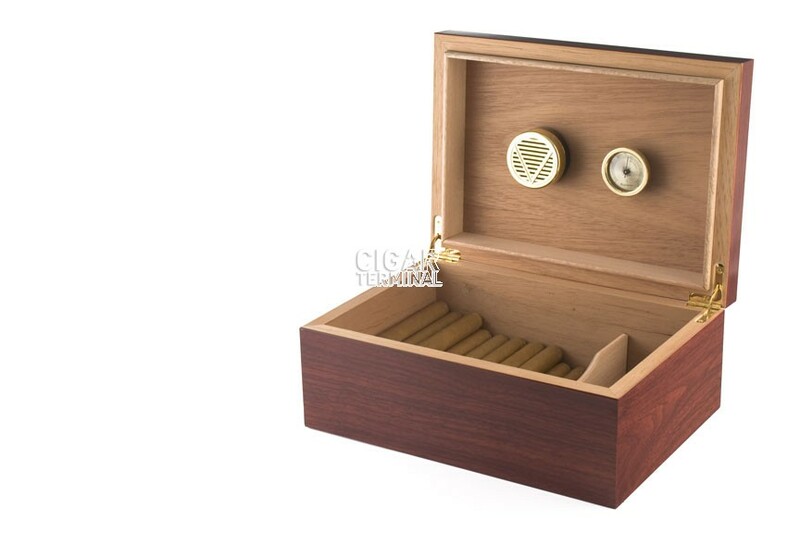 The 12-8117 cigar humidor comes in different finishes as well - 50 Count Cigar Humidor - Finished in Cherry, Burl, Black Walnut, or Red Walnut - Cigar Humidifier Included - Internal Analog Hygrometer Included - Product Dimensions: 12 1/4" x 8 1/2" x 5"